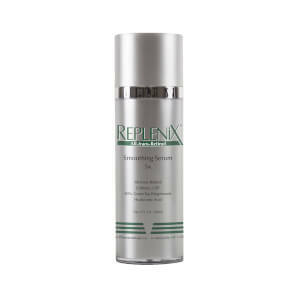 This serum assists in achieving smoother, firmer and more evenly toned skin. This Retinol based formulation helps achieve more radiant looking skin while delivering the skin enhancing benefits of Green Tea Polyphenols. Enhances the turnover rate of the skin. Aids in the formation of collagen to plump the skin and reduce the appearance of fine lines and wrinkles. Coupled with the proven antioxidant and anti-inflammatory properties of green tea –reduces irritation and photosensitivity. Formulated with hyaluronic acid in a hydrating base. Worth a try, however . Firstly, although this is called a serum, the texture is thick and seems more like an emollient lotion. Seems a little like paste until you start to smooth it in. So be prepared.Fragrance is nice, and leaves skin feeling smooth.I have been using this before bed in combination with StriVectin-AR Advanced Retinol Night Treatment. *Any time I start a new retinol product, I slowly work up to using it daily, otherwise it can be irritating to skin. I was looking for something with strong Retinol and I got it. The first time I used it every night and boy did I learn a lesson! My face peeled like I had a Chemical Peel! So it does it's job! You just can't use it faitthfully every night. I'm using it every 4 nights or so. I think this is about my 4th bottle of this and I now wear it during the day, and switch to a less strong product for my overnight regimen. At first it was too strong to wear every day, but after awhile my skin adjusted. I works to tighten tmy face and smooth out lines around my eyes and mouth. I highly recommend this! The first time I used it, my skin peeled two days later and felt pretty sensitive, but I backed off to one pump every other day, and now my face feels nice and smooth. I've tried almost every OTC retinol product that's out there, and this is the only one that has produced any results. This product really dried my face out and caused my fine lines to be more defined. I am in my 30's and I have combination skin. I didn't think I had sensitive skin but I must since this product made my face extremely dry. Use with caution. I have reviewed this product online before i purchased, i was really looking for something different in a serum, this is, its not a day cream, you use it sparingly at night, goes on very very smooth and makes my skin look flawless, it pumps out thick so dont overuse..and YES its a big thumbs up from me to purchase again.I live in Australia, so do not expect quick delivery, i had to wait a good 3 weeks, but all worth it. I am on my third bottle and my skin has showm some improvement. I do get compliments on the smoothness of my skin and I have no wrinkles, just some fine lines and I'm 54 years old. I really do like this product. I only use it at night and the bottle lasts a long time because you don't need to use a lot. To try to save some money I buy it when the 20% discount is offered. this is one of the best...you can put in on a specific area, or use it for all over your face, neck, and upper chest...then, your usual moisturizer. Very effective on stubborn 'set in' lines. it doesn't need to be used lavishly, a small amount will work. I use it 2 to 3 times a week. Love it!!! I have been trying a few of Topix products, they really work great! I would like them to reformulate this product into a "real serum" as they call it, as it would be easier to absorb into the skin. It is NOT a serum, it is more like a thick paste, which probably causes some waste when tyring to smooth on your face.